If you’re the type of person like I am that notices every thing on your face, then this is for you. Any time something pops up on my face, I go crazy! Pimples, bumps, discolorations, stray hairs all are annoying. But nothing bothers me more than finding a gross patch of blackheads. Most people get them on their nose and chin. Until I learned about this, I never knew how to deal with them and I get so annoyed and run out of patience that I end up popping them. Popping is bad. It can cause scars and takes longer to heal. I’m the kind of person who notices every little thing on my face. Get rid of a blackhead to get a pimple instead? No thanks. That’s exactly why this home remedy is exciting to me. If you are a fan of DIYs then you’ll want to try this for sure. Here is how you transform your face for the better–naturally! 1. Get the ingredients: milk and gelatin. Since this will be going directly on your face, you should not skimp by using low quality ingredients. Use high quality ingredients and also make sure the gelatin is unflavored. Put the gelatin (1 Tablespoon) in a container first, then add the milk (1-2 Tablespoons). Mix. 3. Rinse your face while microwaving the mix for 15 seconds. Since heat makes this mix very soft, you should apply it right away to ensure desired smoothness. 4. Apply the warm mixture to your face. You can spread this mix all over or do some spot treatments — your choice. Just remember to use it quickly! 5. Let it soak in! 6. Start peeling away those nasties! Once it’s dry, grab a corner and start slowing peeling. Get ready to be amazed! 7. Pull! Make sure to get them all! 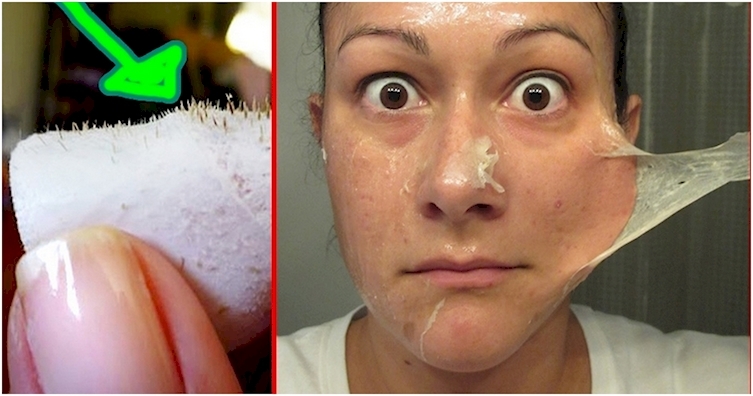 This is the most satisfying part — seeing all those disgusting blackheads separated meet their doom! Now your nose will feel much cleaner!